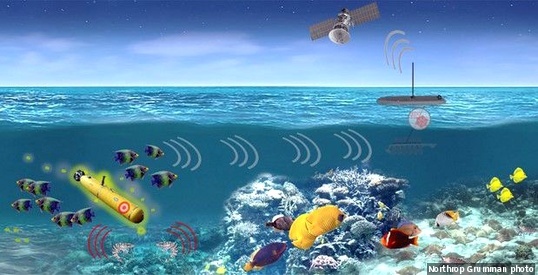 Under the Persistent Aquatic Living Sensors (PALS) program, Northrop Grumman is partnered with Coda Octopus, Duke University, University of Maryland, Baltimore County, and the University of Memphis. For the program, Northrop Grumman and the team will develop biological sensing hardware that has increased sensitivity for certain sensor modalities, achieving greater range. Artificial intelligence (AI) will be applied to observe patterns in the marine environment to help classify targets.